What makes Arena School so special? Learn English in Dublin and make new friends from all over the world! Having attended Arena School of English is one of the best choices that I have made in Dublin. Thank you so much for everything, especially to the best English teachers that I have ever had in my life. I spent 5 weeks in Arena School attending an IELTS morning course: it was a great experience from both a linguistic and personal point of view. Lessons were various and useful, thanks to smallness of classes and competences of teachers. I recommend Arena School. The classes are small, so the teachers can be focused on each student. I loved the programs, based on participation and dynamism. The staff is very friendly and organise 2 or 3 activities per week. I’ve been studying in Arena School of English since August last year, I took a 6 months course and it’s been awesome. Classrooms are small and I’m really happy with the teachers and staff which always help me with whatever I need. I took a three-month course in Arena School and I’m glad to say that it was impressive. From the first day, when they tested my English skills to place me in the right level, until the last, when I felt sad leaving behind friends and a breathtaking teacher. I’m glad I’ve chosen Arena School of English. There is a friendly atmosphere in the school and all teachers and staff are just amazing, helpful and passionate. I can feel that they always care about students and try to make the school better and better. 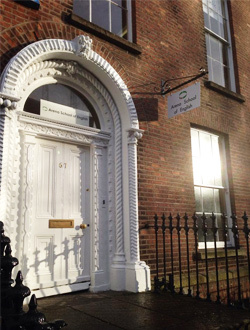 The school is in a fantastic location in Dublin city centre five minutes walk from Dublin’s main shopping area Grafton Street. © Arena School of English 2019. All rights reserved.